﻿ Times have been tough for Crossfaith lately. The momentum from Xeno dissipated as quickly as it came, New Age Warriors struggled to even do that, and a relative lack of live appearances has meant they haven’t even been able to stretch their legs in the area in which they most excel. Still, they’re nothing if not persistent, moving their electro-metalcore forward with the times and coming out with Freedom, a lean, three-track precursor for a next phase that couldn’t be more important. If this is what’s to be expected too, then Crossfaith are definitely moving in the right direction, as Freedom has everything it needs to pull the band out from the doldrums they’ve been caught in for too long – songs that accentuate their key strengths; a desire to push on with variety that’s well-integrated; and star power that has only become clearer and better utilised over time. In the case of the latter, Ken Koie has the sort of ridiculous charisma in both singing and screaming on Rockstar Steady, but it’s the pair of guest stars that pushes these tracks up a few gears. Japanese rapper Jesse mightn’t have the most complex flows, but there’s an assertiveness to his delivery that fits in the aforementioned track, but the best moment on the entire EP goes to Enter Shikari’s Rou Reynolds on the title track, channeling his inner grime MC over a suitably bass-heavy beat to lend some even more contemporary edge to the band’s already futuristic cyber-metal. But while that concept of freedom might be represented somewhat (see the Blade Runner-inspired title track), it mostly shows up in mind rather than practice. The growth is there, but overall, these three tracks feel more like variations on a theme, just bent in a slightly different way each time. It’s mostly the Xeno formula too, with electronics serving as accentuation above a driving force, but they feel better utilised here. It especially works well on Rockstar Steady, taking the form of a punchy hard rock rager with the woven electronics giving an unmistakable bleeding edge. Even Diavolos, probably the weakest track here simply be being a fairly basic electro-metalcore number, isn’t necessarily bad thanks to picking up some killer momentum that the band can make fantastic use of. In truth though, Freedom is a step in the right direction to Crossfaith becoming the great band that they briefly fell away from. 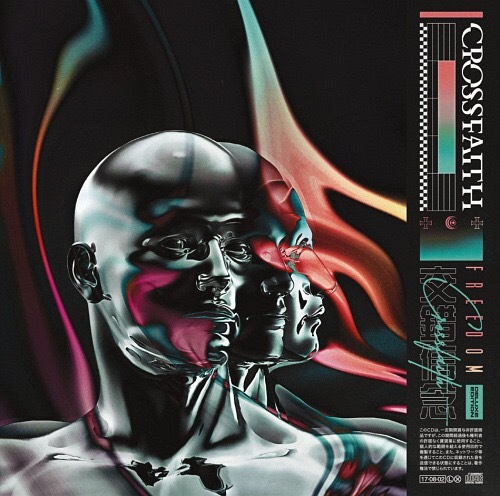 Even for only three tracks, there’s enough to suggest something of a revamp being tested here, and alongside some of their other recent material, the next couple of years could be very interesting for Crossfaith indeed if they continue in this vein. Hopefully they can pull it off too; for a band who’ve been as persistent as them, success is justly deserved. ‘Freedom’ by Crossfaith is released on 4th August on UNFD.